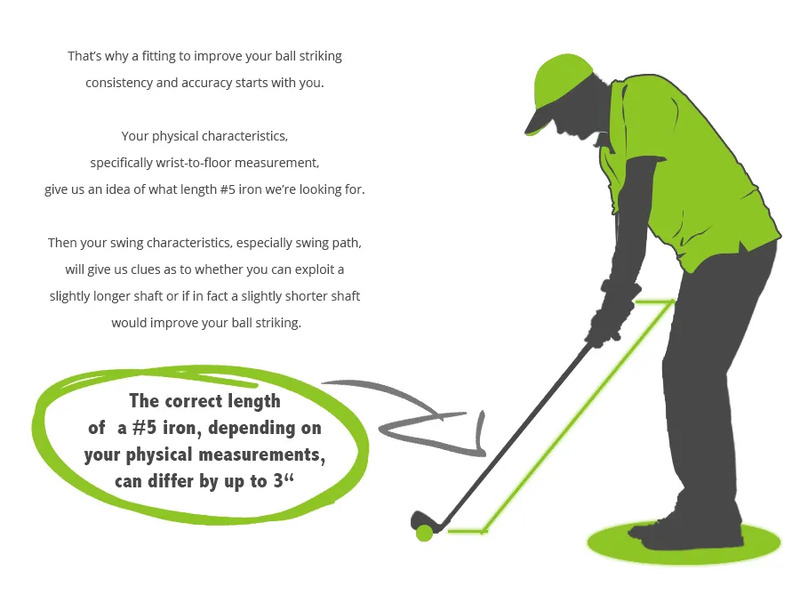 When we ask you: ”At which club length does your ball striking skill break down?”, we avoid the number on your iron deliberately. They’re similar, but 3 iron sets from 3 different brands all had different length #5 irons. There’s no standard length (or loft). and shaft flex that fits your physical dimensions, athletic ability and swing path. Contact us for an assessment.